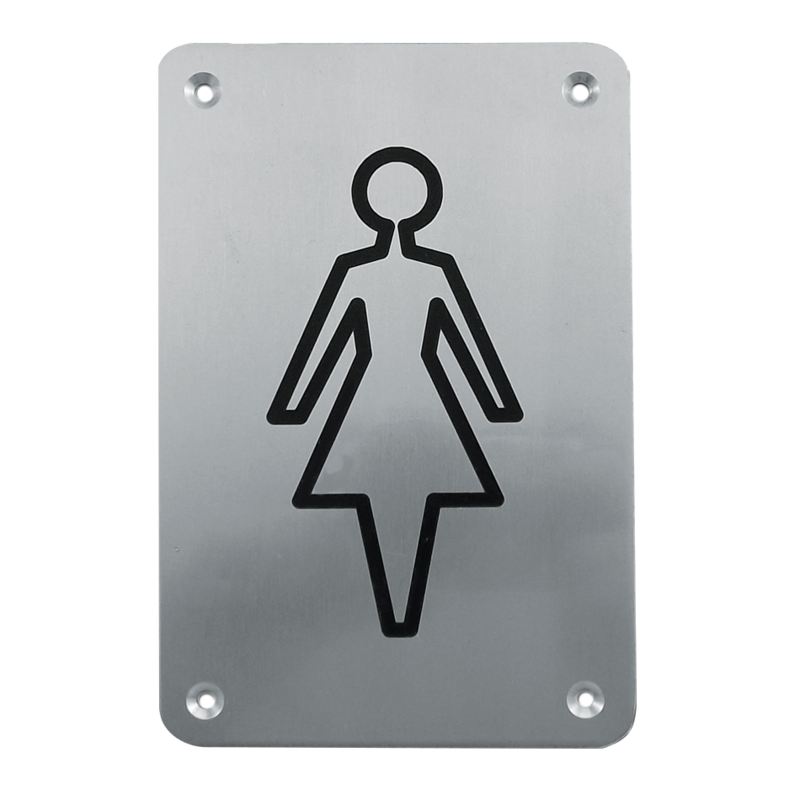 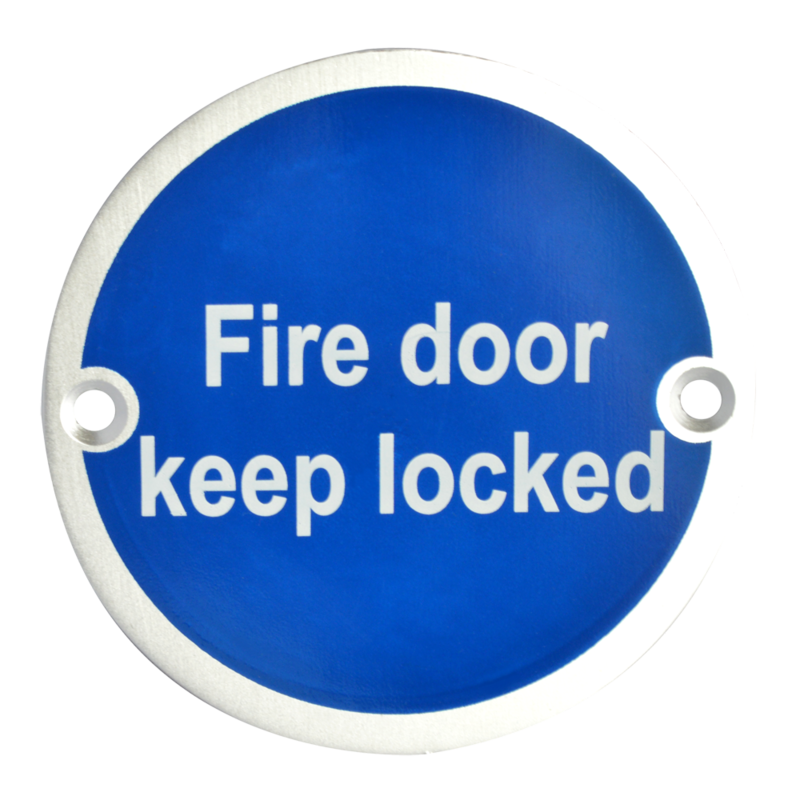 76mm diameter Mandatory signs `Fire Door Keep Locked` available in Satin Anodised Aluminium & Satin Stainless Steel finishes. 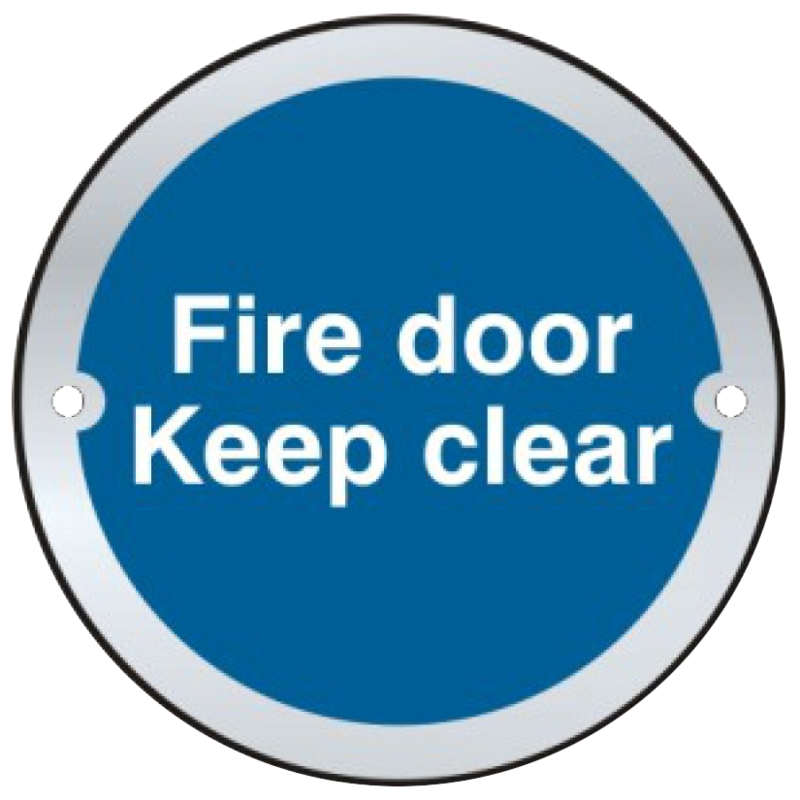 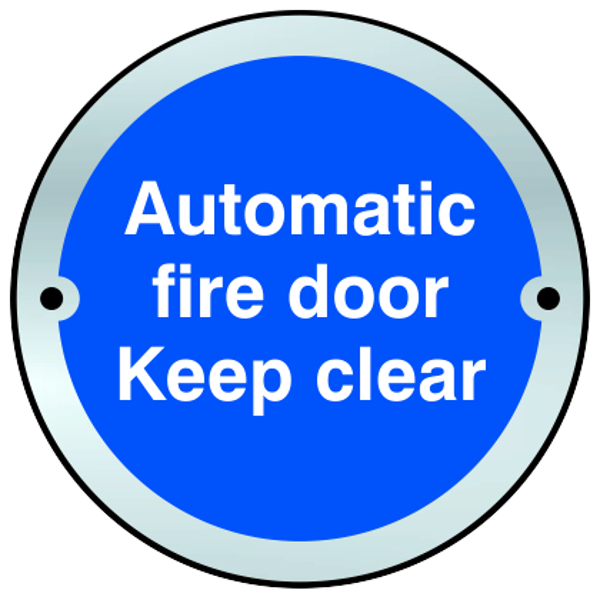 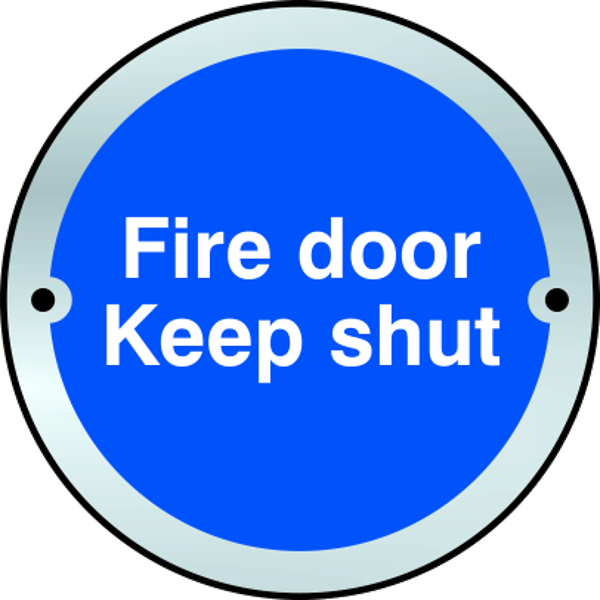 76mm diameter Mandatory signs `Fire Door Keep Shut` available in Satin Anodised Aluminium & Satin Stainless Steel finishes. 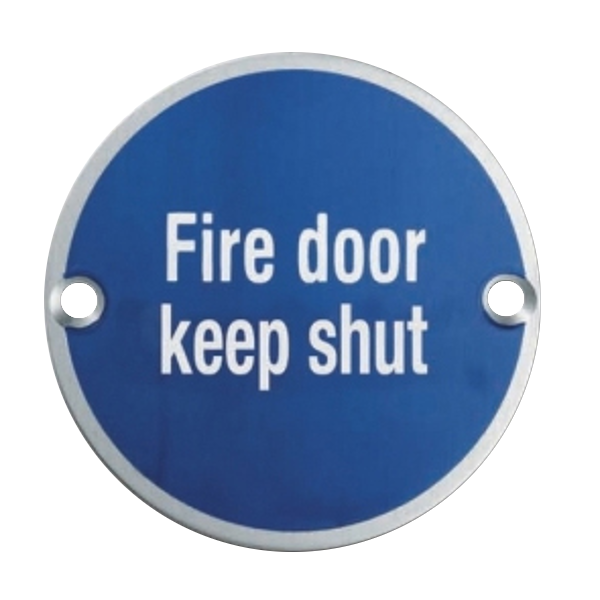 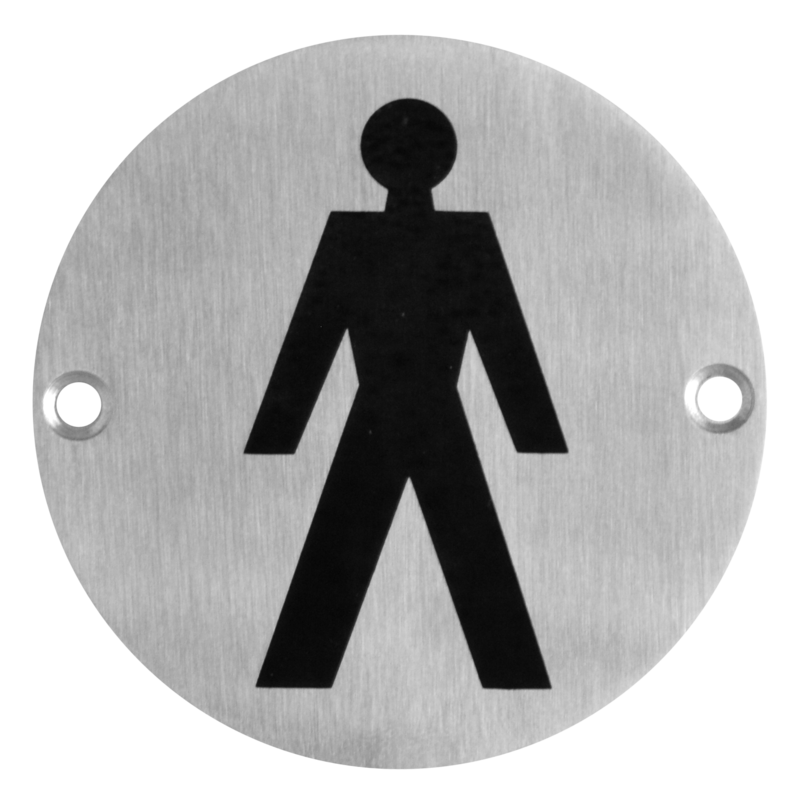 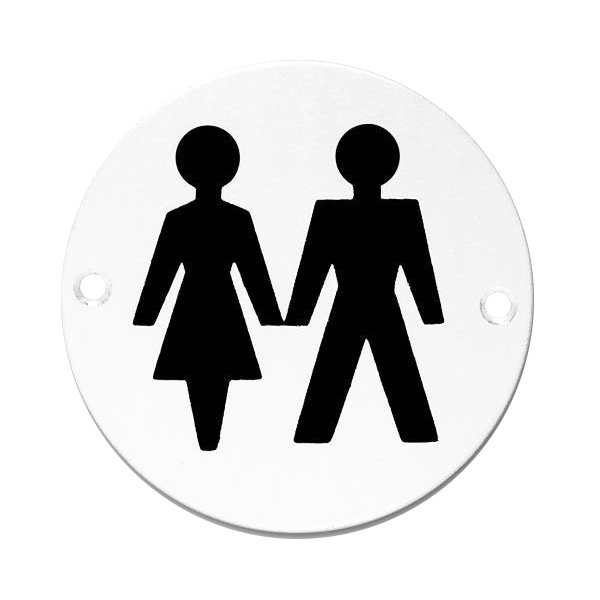 Small 75mm diameter disc signs from Asec with fire door warnings, available in a variety of finishes.